Shikhar Dhawan needs 10 runs more to become the 13th India player to reach the 5000-runs milestone. With Dhawan having batted 117 times prior to this match, he can become the joint fourth fastest there along with Brian Lara (118). Hashim Amla reached 5000 in 101 matches, Vivian Richards & Virat kohli in 114 and Brian Lara in 118. 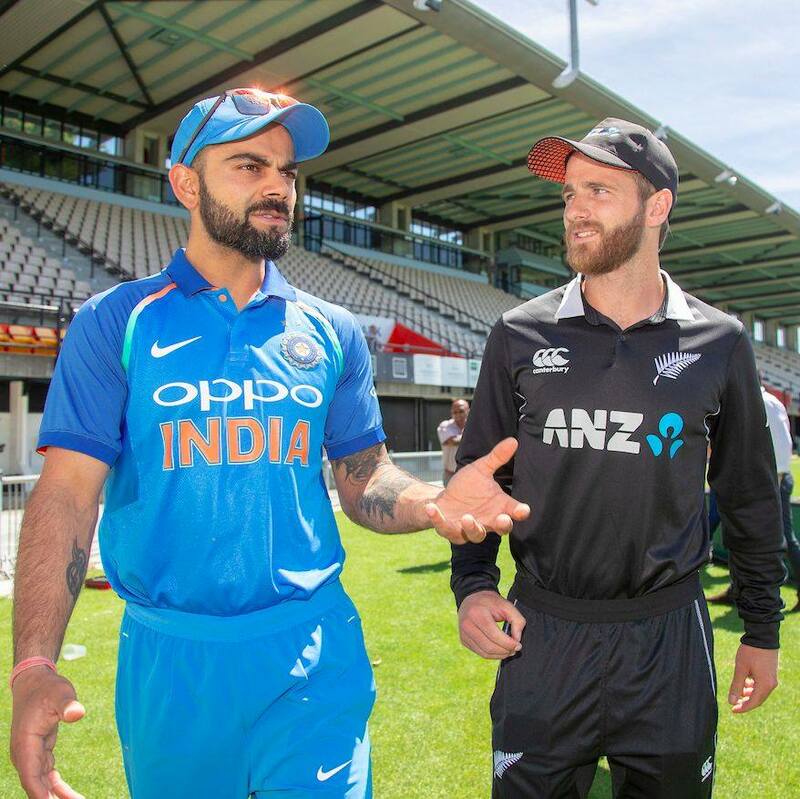 India take on New Zealand at Napier tomorrow ~ in Kiwiland, Indians have played 34 One dayers since 1976 – have won 10 and lost 21 – 1 Tie and 2 No results. 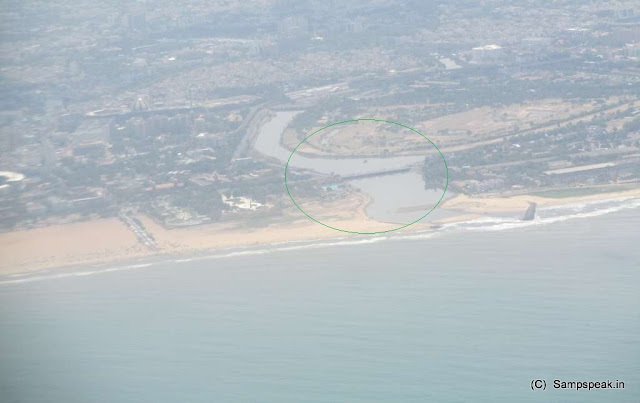 In this aerial photo – one could zoom and see the bridge over river Coovum ~Singara Chennai. Napier Bridge is an important landmark – often shown in films to show that scene occurs in the city [LIC Building, Central Railway station are the other].. this bridge is built over the ‘Cooum River’ – not exactly looking like a river now-a-days. Reportedly it is the shortest classified river draining into the Bay of Bengal. This river is about 72 km in length, flowing 32 km in the Urban part and the rest in rural part. Much money has gone in the drain with successive Governments claiming to clean up the Cooum river spending crores of rupees and opposition alleging scams. Francis Napier, a colonial administrator, served as a Governor of Madras from 1866 to 1872; he also acted as the Viceroy of India from February to May 1872, temporarily though arising out of the assassination of the Earl Mayo…. and the bridge leading to Fort St. George / War Memorial overlooking island grounds is named in his honour. The 1st One dayer of the present series is to be played at Napier, a New Zealand city with a seaport, located in Hawke's Bay on the eastern coast of the North Island. About 18 kilometres south of Napier is the inland city of Hastings. These two neighbouring cities are often called "The Twin Cities" or "The Bay Cities" of New Zealand. Napier is about 320 kilometres northeast of the capital city of Wellington. Napier is the nexus of the largest wool centre in the Southern Hemisphere, and it has the primary export seaport for northeastern New Zealand – which is the largest producer of apples, pears, and stone fruit in New Zealand. Napier is a popular tourist city, which was ruined by the 1931 Hawke's Bay earthquake and has recovered well thereafter. McLean Park the venue of day is also a Rugby ground; it is the home teams for this ground are the Hawke's Bay Rugby Union and Central Districts Cricket Association. The two ends of the stadium are named the Centennial Stand End and Embankment End. Its close proximity to the International Date Line makes it the world's most easterly Cricket ground. The Napier Bridge and Napier city in New Zealand bear no connection. The city is named after General Sir Charles James Napier, [1782 – 1853] an officer and veteran of the British Army's Peninsular and 1812 campaigns, and later a Major General of the Bombay Army, during which period he led the military conquest of Sindh, before serving as the Governor of Sindh, and Commander-in-Chief in India. Napier commanded the 50th (Queen's Own) Regiment of Foot during the Peninsular War in Iberia against Napoleon Bonaparte. Napier's activities there ended during the Battle of Corunna, in which he was wounded and left for dead on the battlefield. Napier was rescued, barely alive, by a French Army drummer named Guibert, and taken as a prisoner-of-war. Nevertheless, Napier was awarded an Army Gold Medal after he was returned to British hands. Napier volunteered to return to the Iberian Peninsula in 1810 to fight again against Napoleon in Portugal, notably in the Battle of the Côa, where he had two horses shot out from under him. Napier returned to England and became the General Officer Commanding of the Northern District in England in April 1839. In 1842, at the age of 60, Napier was appointed Major General to the command of the Indian army within the Bombay Presidency. Napier remained for a while as the Commander-in-Chief in India. He also quarrelled repeatedly with Lord Dalhousie, the Governor-General of India. The source of the dispute was Dalhousie's behaviour on India's north-west frontier. Napier returned home to England for the last time. He was still suffering with physical infirmities which were results of his wounds during the Peninsular War, and he died about two years later at Oaklands, near Portsmouth, England, on 29 August 1853, at the age of 71. The city of Napier in the Hawke's Bay region of New Zealand was named after Sir Charles Napier. To the Cricket fan with unquenching desire to know more and more of the game. Way back on 22nd Feb 1976, India played New Zealand in ODI no. 36 - 3 south Indians – R Sudhakar Rao and Pochaiah Krishnamurthy alongside veteran Bhagwat Chandrasekhar made their debuts. NZ made 236/8 (8 ball overs those days!) – India chasing were all out for 156. A day earlier in the 1st ODI (no. 35) India made 154 and NZ chased it so easily losing a solitary wicket. Debutants Parthasarathi Sharma and Dilip Vengsarkar opened for India; Syed Kirmani was the other debutant. New Zealand could be more stronger opponent than Australia ~ wish Indian team wins here too.